Reynald Ramirez is a multimedia journalist based in Manila, Philippines. 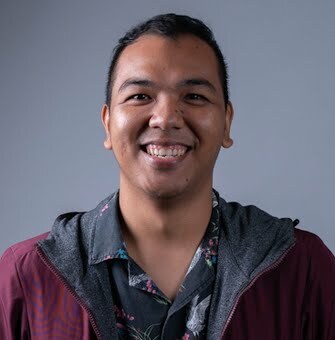 He has six years' experience in producing investigative stories on politics, current affairs, culture and social issues for GMA  News and Public Affairs in Manila. He also works as a freelance journalist and content provider for development organizations. Reynald is a recipient of the Adenauer Fellowship for Media and Communication in Asia in 2017. This allowed him to pursue a Master of Arts in Journalism degree at the Ateneo de Manila University. Teenage pregnancy prevents Blaan students from finishing school in South Cotabato, a province in Region XII. The region has the second highest number of out of school youth in the Philippines according to Philippine Statistical Authority in 2013. Around 50 children from all over the Philippines gathered to discuss the important role of Filipino youth in mitigating disasters and promoting resilience. UN children’s agency UNICEF and World Vision organized the National Consultation with Children and Youth on Disaster Risk Reduction to gather youth voices for the Asian Ministerial Conference for Disaster Risk Reduction (AMCDRR)’s 8th year to be held in Ulaanbatar, Mongolia. Miitary restrictions limit media coverage in Marawi. The media did not succeed in gaining more access to areas, as the military restricted their movement. They never gave the media access to frontline movements or “embed,” referring to the practice of allowing media to move with the troops. More than 77,000 families were forced to flee Marawi when a foiled attempt to arrest Abu Sayyaf leader Isnilon in his apartment in the country’s lone Islamic city on May 23, 2017, triggered clashes with government forces. One of them is the Samprona family who, after staying in evacuation center in Marawi City for months, was forced to evacuate to Manila only to find out that there is no opportunity for them in the big city.